Black Girl Magic meets Barbados. It was only a matter of time before something like this happened. It needed to happen. It was long overdue. 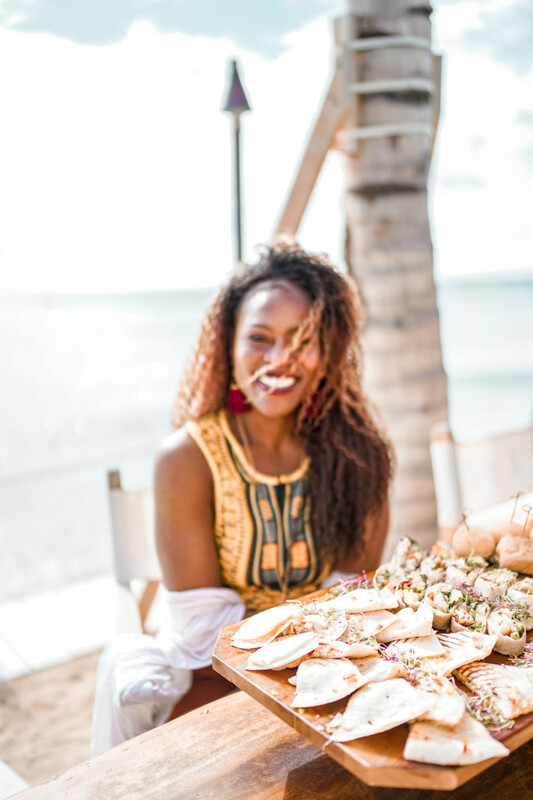 My hats off to Danny Mitchell, founder of Black Girls Travel Too, for being the brains [and beauty] behind this vision that would bring Black women together under one common goal to share the beauty of Barbados with our audiences and the world. Before I get into the details of this trip, I know some of you might be reading this wondering why this title matters, or why it’s even a big deal. But as someone who’s been on dozens of press trips with tourism boards around the world over the years, there’s been a common theme of always being the only Black person in the room. Oftentimes Black people feel like whenever we’re invited into a space, it’s because we’re the diversity fill-in. We’re there to meet a quota, and there is usually only room for just one Black person to fill that diversity spot. But it’s the biggest misconception ever, and it gets exhausting not ever seeing diversity and adequate representation on press trips. 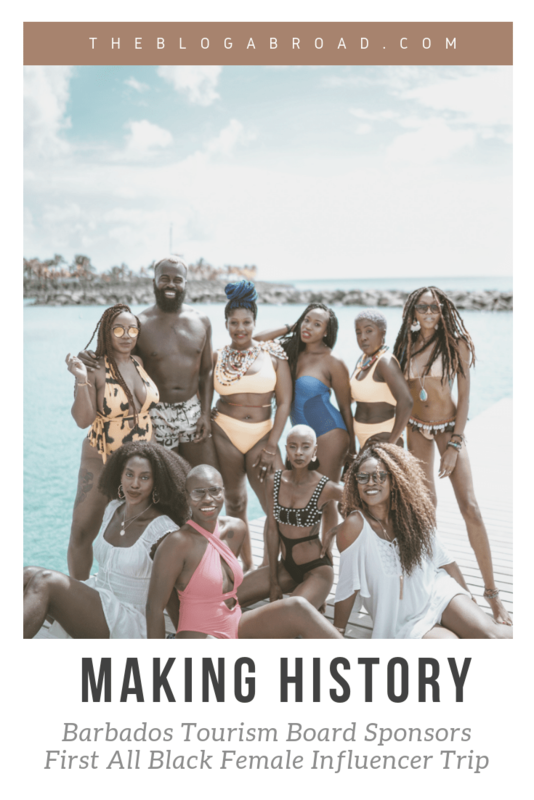 Ethnic, religious, and LGBTQ diversity in travel matters, so it was just an incredible feeling to be a part of this movement with so many incredibly talented Black women in the travel and lifestyle space. 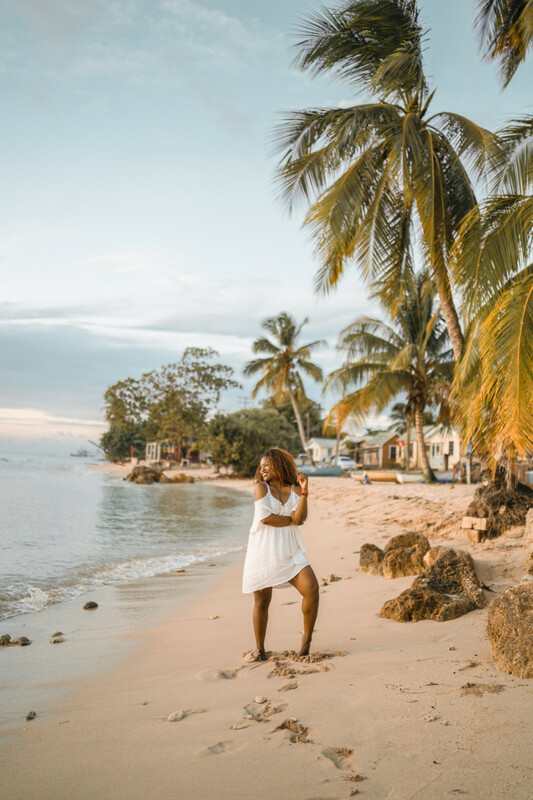 This country is dripping with character and culture, and I’m convinced that Barbados will be the IT spot in the Caribbean very soon. BIM (nickname, short for Bimshire) has some of the most pristine beaches I’ve ever seen. They also just elected their first female prime minister, and you can tell the women are who REALLY run things around here. There is only one airport in Barbados, and that’s the Grantley Adams International Airport, airport code: BGI. If flying from the U.S., JetBlue Airlines services the Caribbean most frequently, but be sure to get to the airport at least 3 hours before your flight as cheaper fares cause longer lines and waits at the airport. The BBD (Barbadian Dollar) is hands down the easiest conversion I’ve ever had to make because to know its USD value, you just divide in 2. So if something is 10 BBD, that’s 5 USD. Simple! I use an app called “Currency” on Android if even basic math like this is beyond my capabilities (blame the rum punch), but there are many equivalents like XE Currency where you can plug in a number, track the strength/decline of any currency, and convert on spot. We had a private driver for our time on the island, but I would highly recommend renting a car, IF AND ONLY IF, you’re comfortable with driving on the left side of the road. Public transportation is available via bus or mini vans, but for the most freedom and flexibility, I would hire a private driver or rent a car yourself. You can check this page out for more resources, company names, and links. Whew! We was spoillllllt ya heard me. SPOILT. Our time in Barbados started with a stay at The Club Barbados which had the most gorgeous beachfront and views. My room had an open-air living room balcony that was to die for, and as it was all-inclusive, it was nice to be able to roam around and just eat and drink our way into happiness. The next spot we hit up was the Hilton Barbados where we again, were spoiled with a gorgeous room and large balcony. I’ve done a couple collabs with The Hilton before, so it was great to see and stay at another one of their properties that of course, lived up to my expectations. Another place I recommend that we got to hang out at, is the Sea Breeze Beach House, where we took our epic “1 million collective reach” photo on their beachfront. 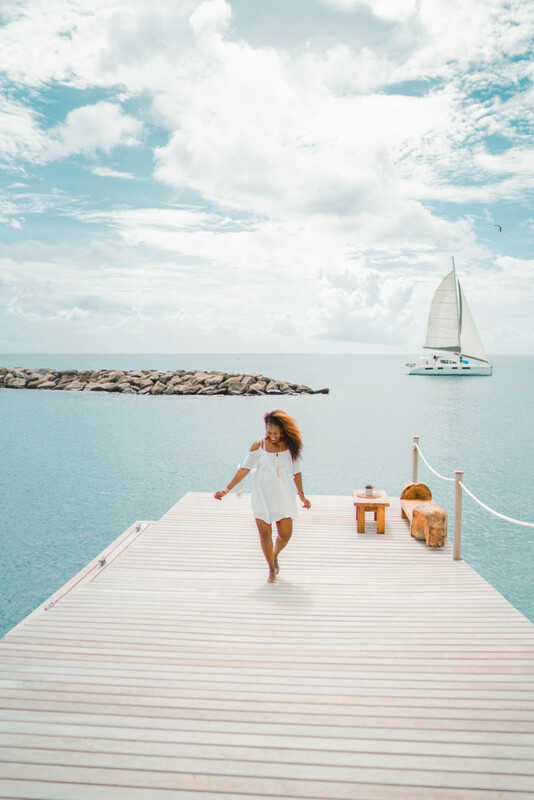 So many beautiful properties to choose from in Barbados, we were so lucky to experience a handful! And finally, check out Eco Lifestyle + Lodge which is an environmentally-friendly lodging house that doubles as a restaurant and Instagram playground as well. 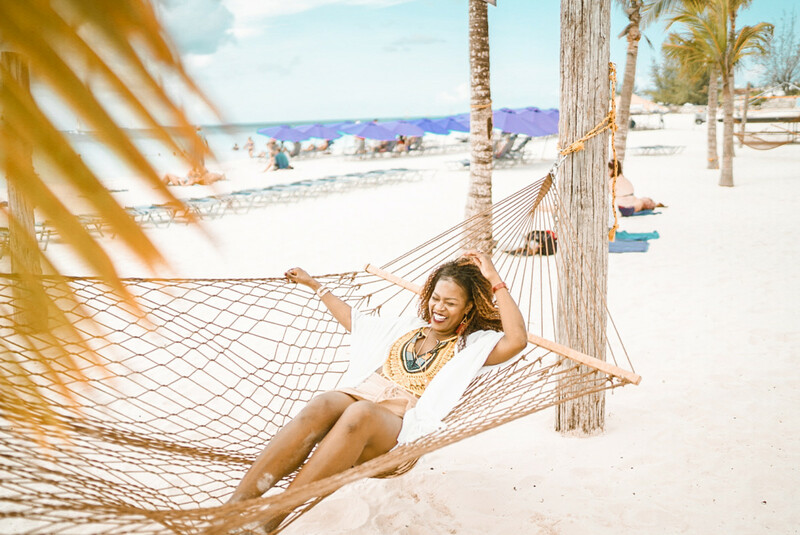 We had a great time trying some yummy Bajan foods while relaxing on the hammock, swing, and taking up some of the gorgeous views on the side. Their hospitality was amazing, and I loved how intimate it was, especially for those who are seeking a smaller feel than resorts can offer. So the cooler season runs from December to mid-April, and the weather is less humid than other times of the year. We were there in November and found the weather to be a nice balance of hot, but not unbearable. April is the hottest month of the year, with an average of 81°F (27°C), while the coldest month is in January. The wettest month is apparently in November with an average of 206mm of rain, but we only had one instance of rain. Generally speaking, the cheapest time to travel to Barbados would be when other travelers don’t want to visit. And the stormy season runs from June to November, so you can expect the cheapest flights and accommodation between September and November. So the Bajan equivalent of a Sunday roast is Flying Fish and Cou Cou. It’s the national dish of Barbados and something you should definitely try to experience during your visit. Pudding and Souse is a savoury soul-food dish and traditionally eaten on Saturdays. This is a must for lovers of all things pork. The souse is usually made from the cheaper cuts of meat, like the tongue, snout and ears, which are cooked and pickled with onions, cucumber, sweet pepper and parsley. The pudding is a combination of mashed sweet potatoes seasoned with Bajan spices and, like a British sausage, stuffed into pig intestines before being steamed. Another amazing dish is Bajan Macaroni Pie. You can buy these in stores, but they’re best had when homemade by a local. Pie is made with macaroni, cheese, onion, herbs and spices, baked together with ketchup. Some recipes also include mayonnaise or mustard. The ingredients are sprinkled with breadcrumbs and oven-baked. It’s often used as a side dish to go with fish or chicken. More noteable things to try include Conkies, Johnnycake, Blake Cake, Fishcakes, Cutters (Bajan sandwich), Jug Jug, Sea Eggs, and Pig Tails. I have to admit, I was ignorant to all the beauty that lies on this island. I’m very careful when I travel somewhere for the first time, not to over-research it to the point that nothing surprises me. Ask anyone who’s traveled with me to a new destination how wide my eyes get, how high my heart leaps, and how genuinely blessed I feel to see corners of the world that absolutely blow me away and remind me how this pale, blue dot was made to be explored. Thank you to Visit Barbados, Danny Mitchel, and the Collab Don’t Compete brand. Humbled to be a part of a movement that is so much bigger than myself. 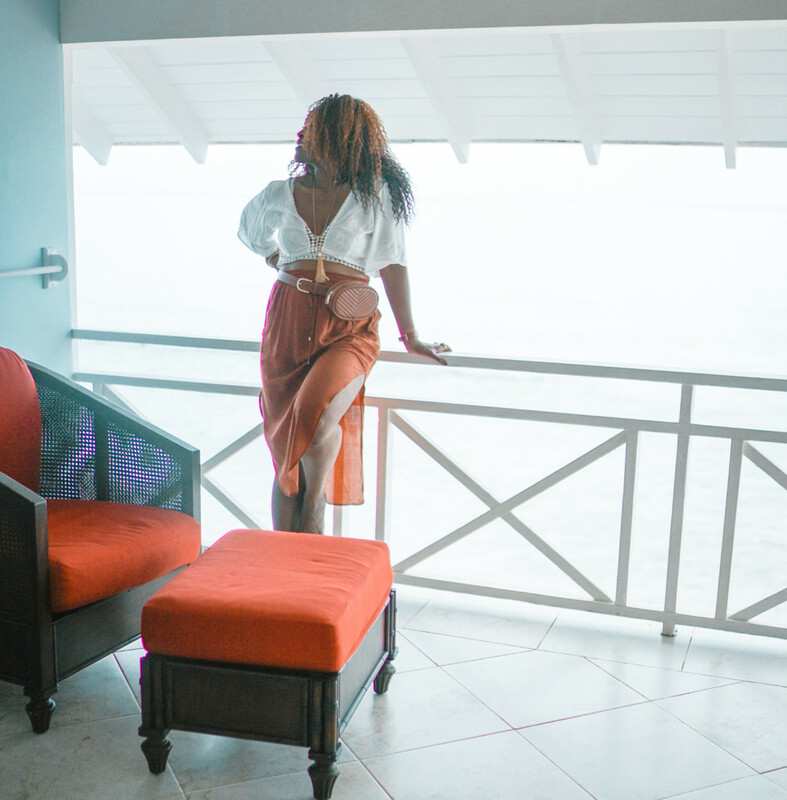 Disclaimer: This trip was sponsored by Barbados Tourism + Black Girls Travel Too, but all sessy @%$ photos, opinions, and ratchetry remains my own. Previous post: If you take a local’s photo while traveling, do you owe them a tip?